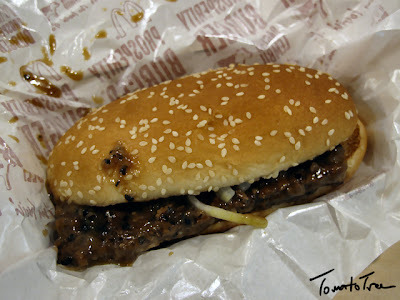 Foodiot KK - Your food-idiot's guide in Kota Kinabalu: McD Prosperity Burger is BACK!!! 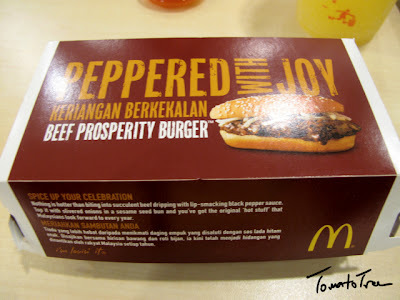 I always look forward to this McD's very own Prosperity Burger, because every time when they re-launch this limited edition burger, it means Chinese New Year (CNY) is just around the corner... We normally get Prosperity Burger a month before CNY, but this time its a little too early! 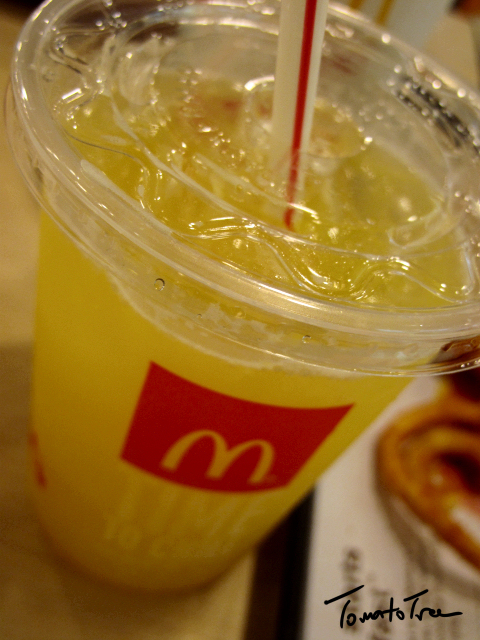 The next CNY is fall on the 10/2/2013, which is more than 2 months from now! It is not even Christmas yet! 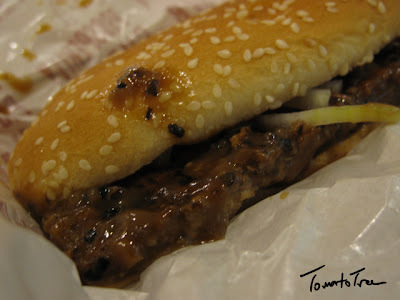 Prosperity Burger, or "Fatt Choy" (in Cantonese, 发财) Hamburger is specially made in conjunction with CNY, because "Fatt Choy" or "Gong Hei Fatt Choy" is the most popular greetings during CNY. Everyone want to be prosperous, don't you? This burger is only available in Malaysia, Singapore and Brunei during CNY period and its up to McD when they are going to launch the burger. There are 2 types of Prosperity Burger: beef and chicken. Some Malaysian Chinese who are Buddhist and pray to Goddess "GuanYin" is restricted to eat beef, so there are the chicken version which taste equally good! never disappoint any McD fans if the fries is served hot! hot black pepper sauce. Topped with some onion to make it even hotter. happened to their chili sauce as well). This year's alright, delicious! 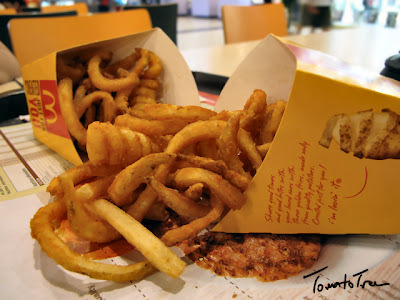 Around RM13+ for a Medium Set Meal. For people who can take spicy / hot food. A big no-no for ordinary child.